Explanation: While drifting through the cosmos, a magnificent interstellar dust cloud became sculpted by stellar winds and radiation to assume a recognizable shape. 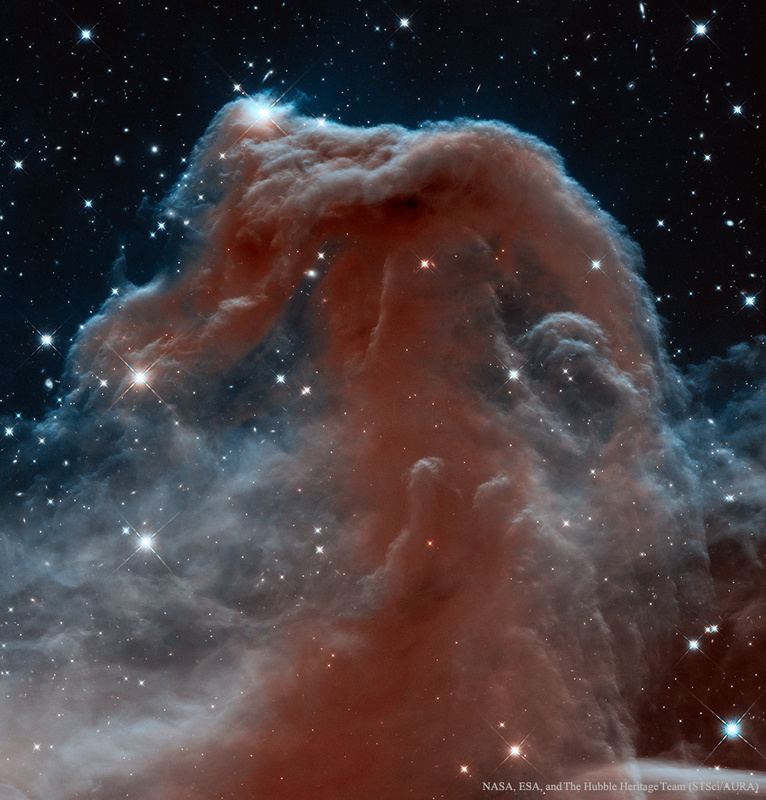 Fittingly named the Horsehead Nebula, it is embedded in the vast and complex Orion Nebula (M42). A potentially rewarding but difficult object to view personally with a small telescope, the above gorgeously detailed image was taken in 2013 in infrared light by the orbiting Hubble Space Telescope in honor of the 23rd anniversary of Hubble's launch. The dark molecular cloud, roughly 1,500 light years distant, is catalogued as Barnard 33 and is seen above primarily because it is backlit by the nearby massive star Sigma Orionis. The Horsehead Nebula will slowly shift its apparent shape over the next few million years and will eventually be destroyed by the high energy starlight.